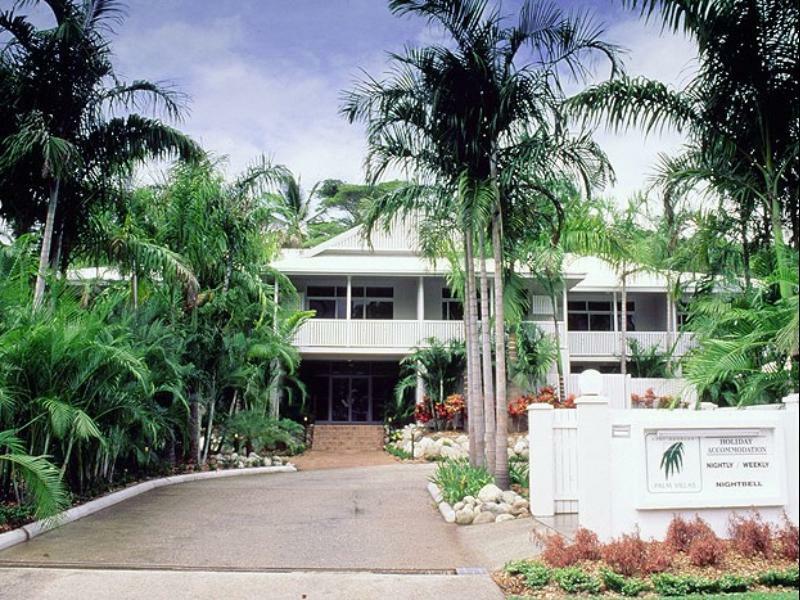 الخيار الأفضل للحصول على المتعة والاسترخاء, Port Douglas Palm Villas يقع في منطقة نورث بورت دوجلاس في بورت دوجلاس. إن موقعه الجيد الذي يبعد 1. Km فقط عن مركز المدينة يساعد النزلاء على الاستمتاع بمعالم المدينة ونشاطاتها. يضفي محيط الفندق اللطيف وقربه من Whileaway, اكوموديشن بور دوجلاس, Funstuff by Lynda سحراً خاصاً على هذا الفندق. إن الخدمات التي يقدمها Port Douglas Palm Villas تضمن للنزلاء إقامة مريحة. تتضمن الميزات الرئيسية في هذا الفندق: مرافق مخصصة لذوي الاحتياجات الخاصة, تسجيل وصول/خروج سريع, تخزين الأمتعة, واي فاي في المناطق العامة, صف السيارات. بالإضافة لهذا,تتضمن كل غرف الضيوف مجموعة واسعة من وسائل الراحة . بعض الغرف توفر حتى تلفزيون بشاشة مسطحة, اتصال لاسلكي بالإنترنت, غرف لغير المدخنين, مكيف هواء, شرفة/ تراس لإرضاء أكثر الضيوف تطلباً. كما أن مجموعة الخدمات الواسعة الموجودة في الفندق لضمان راحتك تترك لك الكثير من الخيارات لقضاء وقتك أثناء فترة إقامتك. إن Port Douglas Palm Villas هو مكان مثالي للمسافرين الذين يتطلعون إلى الراحة والاستجمام في بورت دوجلاس. The staff is very friendly, loction is perfect ! Around 5min walk to 4mile beach, port douglas port, Coles market and We can cook with kitchenwar. The best thing about this place was its location. Located in the heart of town walking distance from the shops, restaurants, the beach and the marina. It is a bit dated but overall ok for the price. Recommended for a short stay for those on a budget. A bit dated and the mattress and pillows need replacing. However excellent for the price and everything is close by. Property was overbooked so had to be relocated to another hotel, which i was only notified about when i contacted the hotel to confirm the booking days before our arrival. Paid for a 1 bedroom apartment, ended up with a tiny hotel room next to a noisy pub. Thankfully it was only for one night. Low stars are due to not actually staying at the property, im sure it would have been much nicer then where we ended up. Our stay was very disappointing. We will never re-visit whist the current management is in place. 21/9/2018. The manager was Western European and displayed rudeness, unfriendliness, and more importantly unwillingness and was unhelpful. This person is NOT front counter material. He did score 10/10 for his bad attitude though. Our stay was only for 2 nights but we were able to walk to the Jetty for a cruise on the Lady Douglas and to Restaurants and a very nice Gelateria. Great time! From the moment we opened the door of our apartment there was that sickening smell of damp and rot. I opened balcony door to air it, dropped our luggage and didn't come back until late at night just to find more faults. The smell didn't get any better. Going to bed we discovered disgustingly dirty mattress protector, with some crumbs on it and one of the corner bands ripped off, so it couldn't even stay in place. Tap in the bathroom sink didn't have any pressure, just a weak thin trickle. Dust and fluff everywhere. information folder had chocolate cake crumbs squashed between pages. Kitchen cabinets smelt bad, microwave turntable did work, kettle had scum inside, frying pan was still dirty from previous users. Furniture cushions had stains on them, kitchen table legs were wobbly. Didn't complain to manager then, thinking that we wouldn't get anything better, but I wrote email to Palm Villas a week ago but no one replied to me. The thing this apartment has going for it is the location, it was easy walking to town. Our apartment was on the ground floor which was good, not too much road noise though it was almost opposite a backpackers. The place is tired and needs a very good dusting/clean. We were eaten by mosquitoes on the balcony and around the pool (which was too cold to go in!). It was just a base for us and suited our needs but I think we'll look for something equally close but a bit fresher next time we come to PD. All pros and no cons. Jacob absolutely very professional and friendly and accommodation, facilities and location perfect for the cost. Definitely an all rounder. We only stayed here for one night. The room is very dated and needs a complete update. Great location, however getting there on foot is a bit difficult, need to walk on the road as there are no footpaths. Could have been cleaner. Especially the vent in the bathroom. Did not tell the manager as he was busy showing a customer how to work her internet, when we checked out. Great location, lovely room and Jakob is such a friendly, welcoming person who is more than happy to help. Definitely returning! We stayed here for 5 nights through NYE. The room was very clean when we checked in and all amenities were fully functional. The pool and BBQ were fantastic for private use. Being off the back of macrossan st we found it very quiet even with the balcony open. Jakob was super friendly and made every effort to make our stay enjoyable. I would recommend to anyone looking for a fully contained 1 bedroom apartment within walking distance of all that Port has to offer. It's jusy one block behind of Macarossan street. Very quiet and clean villas. Although there is a small size of pool with few of guests, i prefer going to four mile beach which is only 10mins walking diatance. Was good staying! The room was very large, with a living room, kitchen, and bedroom, and a comfortable bed. Jakob was very kind, considerate, and helpful. The only problem I had was with wifi, which is limited to 100 mb daily. 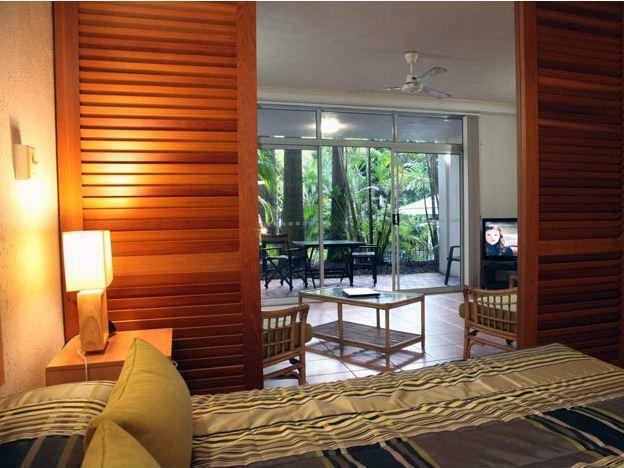 This is a very clean and comfortable unit that is an easy walk to main street in Port Douglas. There is limited free parking on site. So if you have to park on the street which is free be aware of the tropical downpours that can occur and make sure you park on the high side of the street and not directly infront. Flooding can and does occur. Great location, friendly staff, good facilities some furnishings could use updating but all good, clean and serviceable.